Manchester: Manchester City bagged the first silverware of the season by winning the League Cup final against Chelsea but manager Pep Guardiola will be cautious about the midweek league encounter with his predecessor Manuel Pellegrini. Mid-table West Ham are the visitors to the Etihad Stadium on Wednesday as City return to league action following their penalty shootout win at Wembley. But celebrations after a highly satisfactory Sunday afternoon for Guardiola, with title rivals Liverpool only managing to pick up a point in a draw at Manchester United, were muted by the post-match news from the City dressing room. 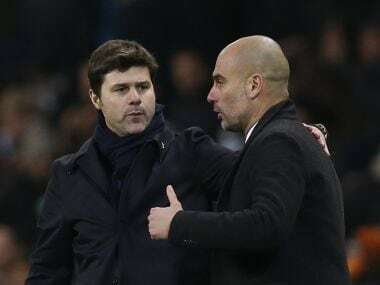 Brazilian midfielder Fernandinho (groin) and central defender Aymeric Laporte (hamstring) both collected injuries at Wembley that Guardiola said would sideline them for several weeks. Even allowing for the depth of a City squad assembled for vast sums, it would be hard to pick two less replaceable performers for the manager to lose at such a pivotal stage of the campaign, with his side chasing an unprecedented quadruple. 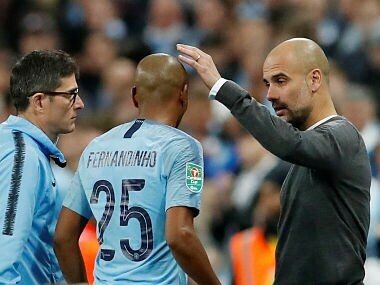 Fernandinho, in particular, has become one of Guardiola's most dependable lieutenants at the Etihad, one of the few players whose name is guaranteed to be in City's starting XI every week. Since his arrival in 2013, City have won more than 70 percent of the games in which he has played, a percentage that drops below 60 in his absence. Most recently, when City suffered shock consecutive defeats against Crystal Palace and Leicester, Fernandinho, 33, was absent. Ilkay Gundogan and Fabian Delph are logical potential replacements in the defensive midfield role but, despite their status as international players, they cannot match Fernandinho's poise and tackling ability. Danilo played in that role with Real Madrid and is another potential replacement while Guardiola has even spoken about playmaker Kevin De Bruyne playing in a deeper position. Fernandinho's all-round excellence even saw him selected at centre-half by Guardiola for the recent home win over Arsenal and the loss of Laporte adds to the manager's concerns in that department. Veteran Vincent Kompany has struggled for fitness and form for much of the season although John Stones is close to returning from his own injury lay-off. The fixture list before the international break in mid-March looks benign, with City facing Bournemouth, Watford and German side Schalke after Wednesday's visit of West Ham. Yet, with City still active in so many high-stakes games at this stage of the season, Guardiola can scarcely afford any more injury concerns. De Bruyne described the relentless demands of the players. "I feel all right, you know. 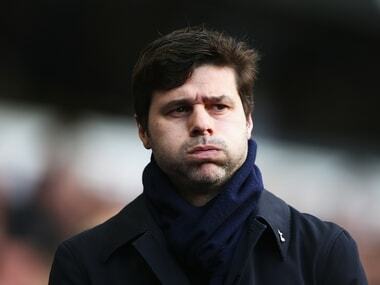 It's tough but it's tough for everybody with the number of games coming up," said the Belgian. "It's unbelievable. They say the winter period is tough but from the moment we started in September in Europe it hasn't stopped for us. "The schedule this week doesn't help us in a way but we'll take it as it goes. In the end, we don't decide when we're playing, we just go and play and do the best possible."